From the Birmingham, MI area to Chicago, Illinois, people keep coming back to Ronn for spiritual guidance. Read some experience of those who have worked with him in the past. Ronn looks forward to speaking with you soon. Connect with him on Facebook and Twitter. "I had an immediate reading with Ronn earlier today, and was so impressed by his accuracy that I booked an additional private reading. After speaking with him, I am left with gained knowledge of loved ones who have passed, as well as accurate information for the present and future. I am looking forward to speaking with Ronn again soon." "Excellent! Will be back soon. I have now had several readings with Ronn. He is accurate, detailed and particularly good at bringing my life into focus." "Ronn was great! We had him do readings for our bachelorette party group and everyone was so happy with him! Very glad we chose to go with him, he traveled to our restaurant which was super convenient. He really hit home on my personal reading, will definitely be using him in the future!" "Best reading I've ever had. Ron's demeanor and disposition put me at ease soon as I walked through the door. The atmosphere was very conducive for a relaxed and comfortable reading. Ron helped me out so much, with what I wanted to know about career, health, and love. I had a list of questions (that I wrote out prior to the session), and Ron answered a lot of my questions before I even asked. I feel Ron was extremely accurate and on point. I will absolutely be going back to Ron as well as recommending Ron to open-minded people. The reading and atmosphere made it seem like I was having a conversation with an old friend, instead of someone I just met. All-in-all, this was a very positive and enlightening experience that gave me some guidance and direction." July brings unique challenges. We’ve reached a halfway point in the year and are now on the path towards the latter half. Summer introduces a desire to retreat to the outdoors and spend time with families despite our busy schedules. And, July brings out the emotional Cancer inside all of us. Typically, Cancers (the astrological sign of those born between June 22nd and July 22nd) are considered to be intensely emotional creatures. Mood swings, deepened sense of empathy, and strong opinions covered in indecision makes Cancers a difficult personality to capture. When July comes around, however, the Cancer sign reigns supreme, and can leave other signs feeling the same emotions that Cancers experience on a daily basis. Forgive yourself. Start a new journey. Take your lessons with you, but, ultimately, trust yourself. Your emotions will be heightened at different times throughout the year, and your astrological sign may be feeling a bit lost in the shuffle. Remember to keep yourself grounded to who you really are and the decisions will come naturally to you. You’ll be able to fight off any mood swings and find new paths to take to calm your busy mind during these summer months and start fresh on a new perspective or project. 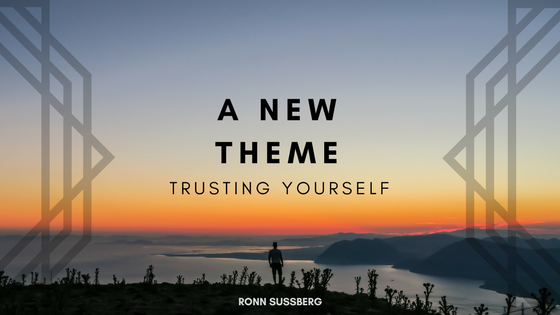 It’s important to also remember that in order to trust anyone else, especially at times of heightened emotions, you first need to know how to trust yourself. Find the confidence inside of yourself and be proud of who you are. You may just be able to fight off the emotional stresses from Cancer’s part of your journey, and open yourself up to sunny, dominant, and fiery Leo in the weeks to come. This article was originally published here on 7.25.17.